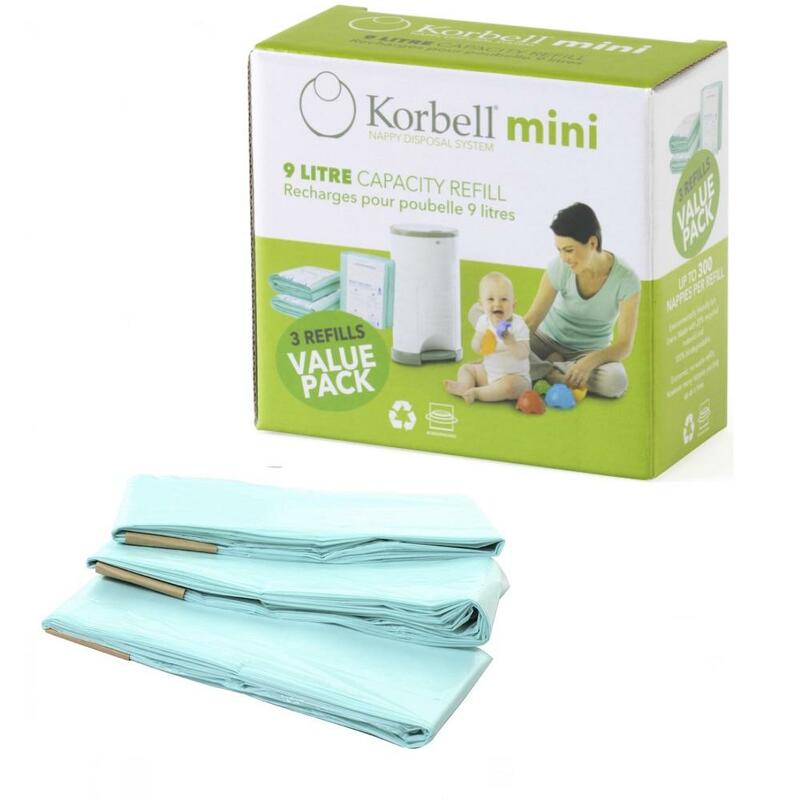 I confess we use the largest size Korbell as our household waste bin in the kitchen as it's so easy to empty and stays smelling fresh. 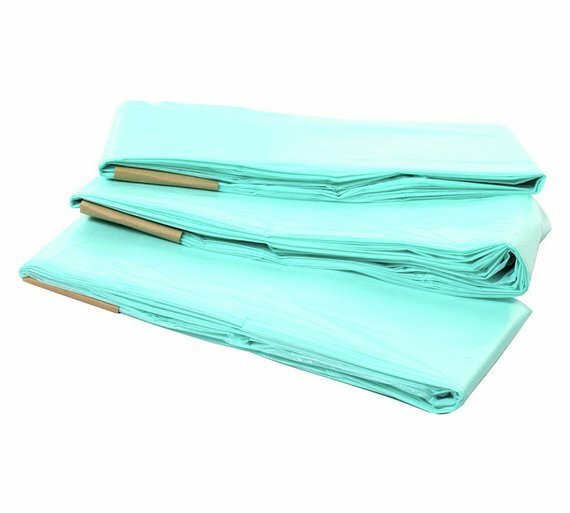 The long–lasting and low waste liners are great value and easy to use. Simply tie a knot at the bottom of the liner and start using; when the bin is full, use the built–in safety cutter to cut the liner and start again. 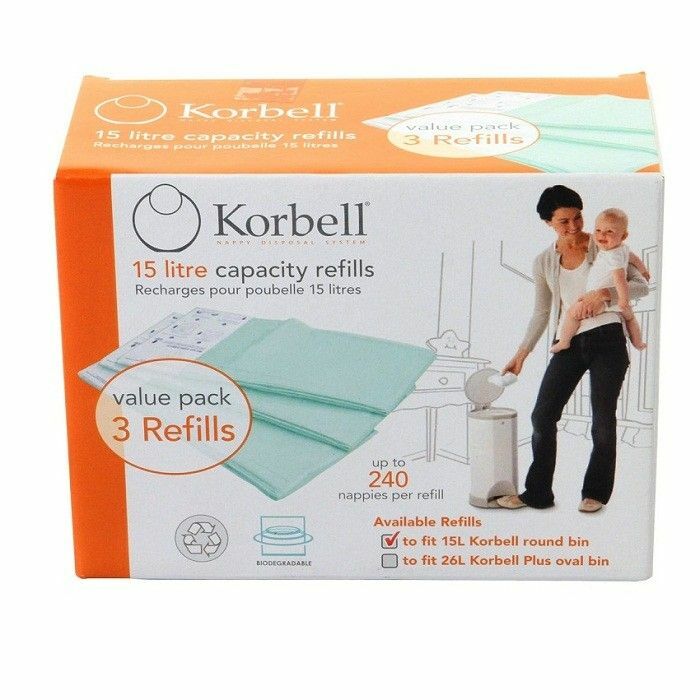 Sorry, refills are not interchangeable between different sizes of nappy bins. The 9 litre liners will do at least 100 nappies. The 15 litre liners last for up to 240 nappies. The 26 litre PLUS liners last for us to 330 nappies. The 68 litre MAXI liners last for up to 1000 nappies. Choice of green or tiger–striped liners for EA waste regulation compliance. Korbell liners are made with 20% recycled materials.